The spiraling drop in ad rates is only one part of the overall erosion of the monetization of short form video. The user experience of mobile apps run contrary to the goal of the pre-roll business. The other shoe to drop is that mobile apps decimate video pre-roll frequencies. 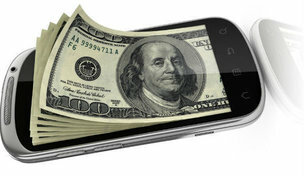 The launch of mobile websites and responsive design have protected the pre-roll’s effectiveness. Its really the desktop user experience. Users watch one video at a time. The pre-roll fires up as part of the condition to watching the video. But mobile video apps have an entirely different video watching experience that decimates the pre-roll user experience and questions its ongoing effectiveness and utility. The user experience on mobile apps is about swiping. Of course, mobile web provides infinite scroll, but the swipe is the foundational user experience on tablets and mobile app platforms. Users can swipe through infinite amounts of content (images, text and video) without actually committing to the content. And there in lies the problem for Pre-Roll. Are we going to run a pre-roll on every swipe? Of course not. That would ruin the user experience. Are we going to run a pre-roll once we know the user wants to watch that video? Of course not. 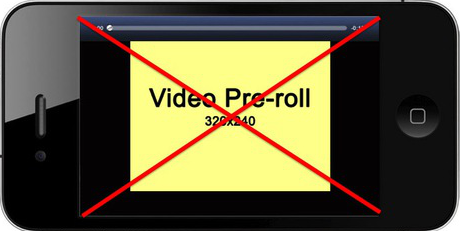 Can you imagine the negative impact of a pre-roll or “roll” interrupting the video? The drop-off would be staggering. Churn is bad enough already. Inserting an ad in the middle of a short video would be devastating. TV gets away with interruptions because they are timed and consistent — regardless of where they happen, because they are spaced out to ensure that the user is not overwhelmed with ads. Do we interrupt the user’s video? If yes, how many seconds/minutes do we wait until we run an ad? If no, how many videos do we let the user watch before we run an ad? The very short length of most video, especially on Youtube, makes the interruption way too significant. The downside is painfully obvious compared to desktop or mobile web. Mobile video apps mean less pre-rolls run. While we hope that users watch more videos for a longer sustained period of time, the reality is that mobile is about snacking — be it games or videos. Perhaps tablets hold out some promise of more sustained video watching, but for the smartphone world, its about swiping and snacking.